The Pot-Hole that Tweets! How the Social Media is supporting towards development. Technology and innovation run parallel to each other. With the right use of technology, there can be a creative innovation and one of them is the tweeting pot-hole. 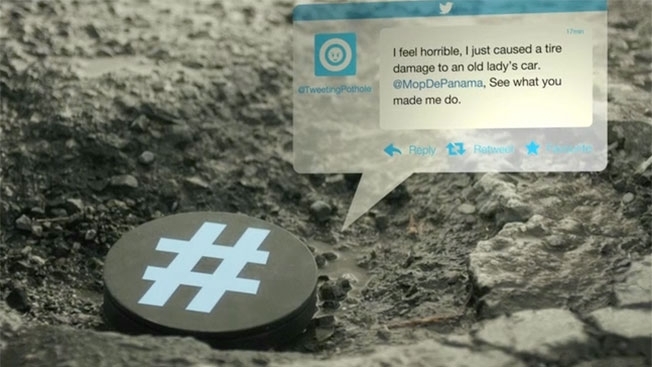 The tweeting pot-hole tweets when a vehicle drives though a device which is placed in a pot-hole. This is an initiative carried out in Panama city by a popular news show and agency +P4 Ogilvy&Mather. With the urge to build a modern city, the local authorities weren't concerned about the deteriorating road conditions in the city. The idea is to placing a device in a pot-hole around the city, so when a vehicle drives over a pot-hole with a device installed, it sends out a complaint tweet directly to the department of public works. The segment was also broadcast in the news show and there was a huge participation by the public. With the number of tweets flooding in, soon the pot-holes started disappearing. With the use of modern technology to fix the streets of Panama,Nepal could use such tools in its development process. Having similar streets with numerous pot-holes, Nepal could use such technology get the attention of the authorities. 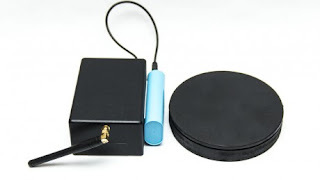 The roads and streets which mostly wear out within months of being paved could get the attention if this device is to be used. With the growing vehicle and social networking users in Nepal, pot-hole tweets would certainly grab the attention of the concerned authorities as it would more likely poke them. With such amount of pressure, a plan of action is certain to take place. However, this is just one of the ways for progress. With the recent rise in social media users in Nepal, there are different projects that have been creating an impact in the development of Nepal. The increasing number of Nepalese +Instagram users have made a platform for projects such as the hashtag trend of #Kathmandugram and #ShapersKtm created by +GlobalShapers Kathmandu , a concept adapted form the GlobalShapersCommunity to document the issues in Hong Kong. #Kathmandugram will engage with Kathmandu's Social Media users to document and promote social issues in Kathmandu. Also, #NepalPhotoProject is another project where social media users send there photos or hashtag them showing different events, lifestyle or happenings in Nepal. One of the popular things that happened over the internet was the #ALSIceBucketChallange conducted by +ALS Association Greater New York Chapter which includes dumping a bucket of ice water on someone's head to promote awareness of disease amyotrophic lateral sclerosis. This became so popular that it earned huge donations from celebrates and high profile people. With the growing use of Social Media, the need of adapting to new forms of technology is a must. The right use of social media is a great way for a country like Nepal in the process of development. With some innovative projects like the hashtag trend, it is fascinating to see how Nepalese could use this as a path to progress.